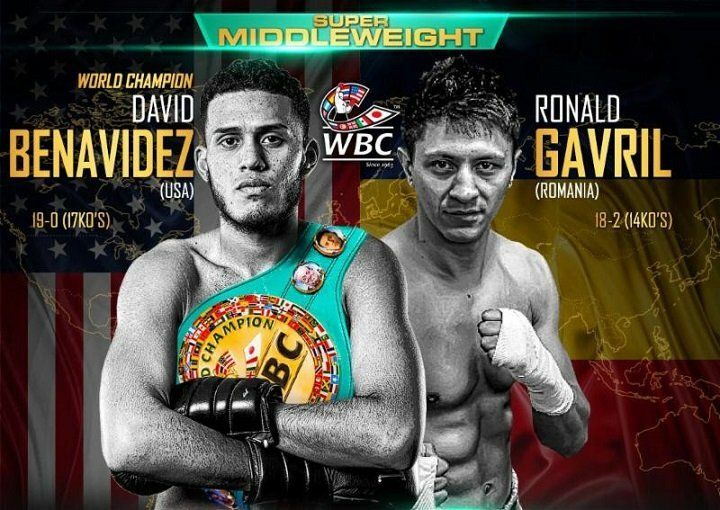 A rematch between David “Red Flag” Benavidez and Ronald “The Thrill” Gavril would be main event material during an average boxing weekend. But this Saturday night, it’s a match that yields to bigger names, those being Danny Garcia and Brandon Rios. It’s no insult to the match-up or to either fighter, more just business-as-usual. Neither is a major draw yet and their first fight, though competitive, was largely defined by an unpopular split decision for Benavidez, who hit the canvas in the final round. Garcia and Rios get the main event slot on Showtime. On paper, the rematch isn’t even the best super middleweight title fight of the weekend. That happens to be George Groves vs Chris Eubank, Jr., the semifinal of the division’s World Boxing Super Series tournament and one hell of a fight to be overshadowed by. Still, Benavidez vs Gavril is definitely worth a peek. 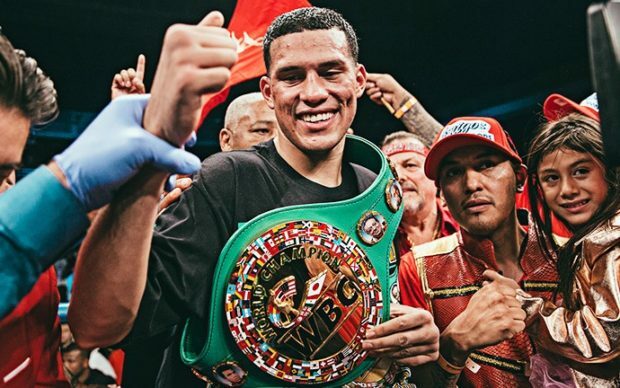 Last year the 21-year-old Benavidez became the youngest-ever world champion at 168 pounds by capturing the vacant WBC belt with the close win over Gavril. The abundance of championship belts in the current era makes actual assessment of Benavidez’s feat tedious to figure. But for having turned pro at 16-years-old with fewer than 20 amateur fights, it’s a long way to come in a short amount of time. Boxing doesn’t allow for much complacency at the top, however, and Benavidez isn’t lazily sauntering into this fight and looking to do the minimum. Quite the opposite, in fact. “El Bandera Roja” clearly feels he has something to prove on Saturday night. Punch stats, which should never be relied upon too heavily, nevertheless support Benavidez’s perception that he was the more effective fighter who closed strong in the final rounds, despite being knocked down. Even so, Benavidez knows the first Gavril tilt was close and changes need to be made. And that 12th round knockdown still stings a bit. At 19-0 with 17 knockouts, Benavidez looks unassuming, as most punchers do. The only sign of his ability to dispatch most opponents early is a lanky set of arms. Otherwise, the Phoenix native doesn’t outwardly appear particularly dangerous, and he says it’s because he’s still growing. 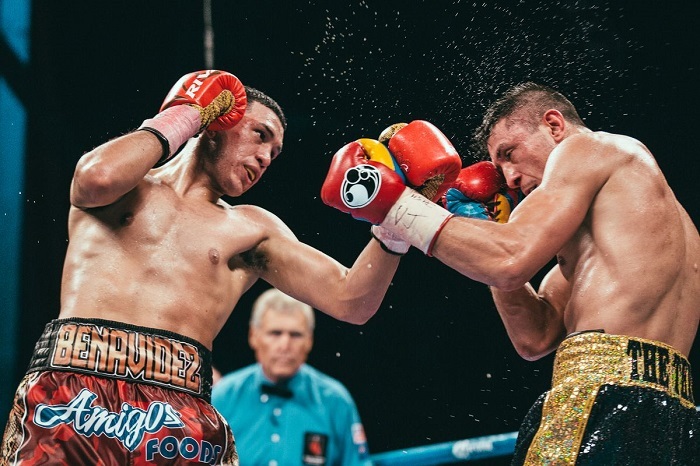 Last May, Benavidez, showcasing his speed and combinations, scored a stoppage over Rogelio Medina that qualified for “Knockout of the Year” status. But frightening performances, while good for television, might not be great for luring prey. According to Benavidez, his tendency to work hard in the gym and push for stoppages are what slowed his schedule down a tad and prevented him from getting opponents in 2017. It’s also fair to note that Benavidez is shacked up with Premier Boxing Champions, limiting potential opponents to mostly in-house fighters. But, assuming he’s able to make his first defense of the belt, perhaps that shiny trinket will entice some name foes to unify and Benavidez can then capitalize on the popularity of other super middleweights like Groves, Eubank, and Gilberto “Zurdo” Ramirez. In the meantime, PBC’s vast stable includes fellow super middleweight titlist Caleb Truax, not to mention other names at 168, like James DeGale, the Dirrell brothers, and Lucian Bute. But to his credit, Benavidez knows fans may want more than in-house pairings. Benavidez and Gavril rumble: time for the rematch. The first Benavidez vs Gavril battle landed at Vegas’ Hard Rock Hotel and Casino on ShoBox, while the rematch has been upgraded to the Mandalay Bay and regular Showtime. It’s a wider audience and a more serious opportunity to make a statement in a fun division. He’s saying the right things, but, with everything else that’s going on, truly standing out this weekend would be a feat. But Benavidez recognizes the gravity of the rematch, and belt or not, it’s time to make a dent.